There’s no doubt you’ll be receiving at least one invite this holiday to an ugly Christmas sweater party. But whether you’re the host or hostess of the party, here are 16 Totally Unforgettable Ugly Sweater Party Ideas that will literally make Santa cringe! Maybe you’ve noticed this too, but the average ugly Christmas sweater party has evolved over the years and we’re not just seeing ugly sweaters! People are getting more and more creative and it’s turned into just Ugly Christmas Parties!!! And you know what? We’re totally not mad about it either! Oh and after you visually digest all things ugly, head on over and read these 10 Tips for Throwing the Ultimate Ugly Sweater Party. 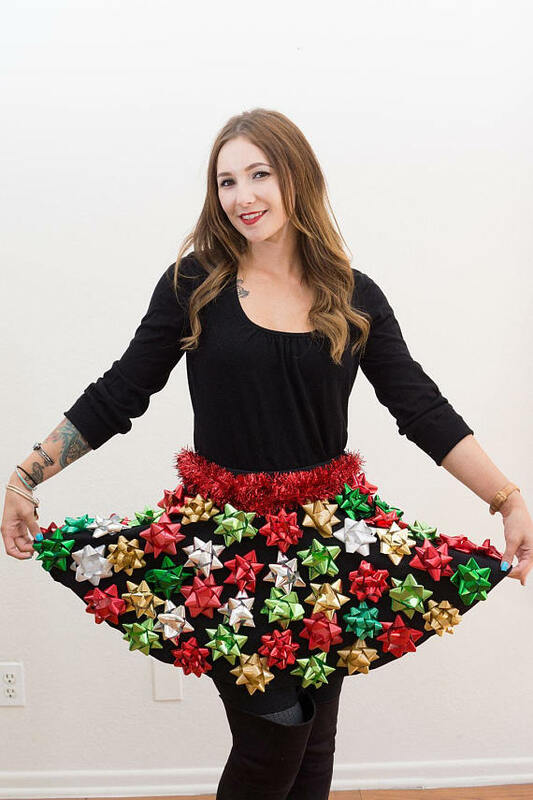 How awesome is this Ugly Christmas Sweater Bow Skirt?! Pair this festive creation with your ugly Christmas sweater and you will be the talk of the party! 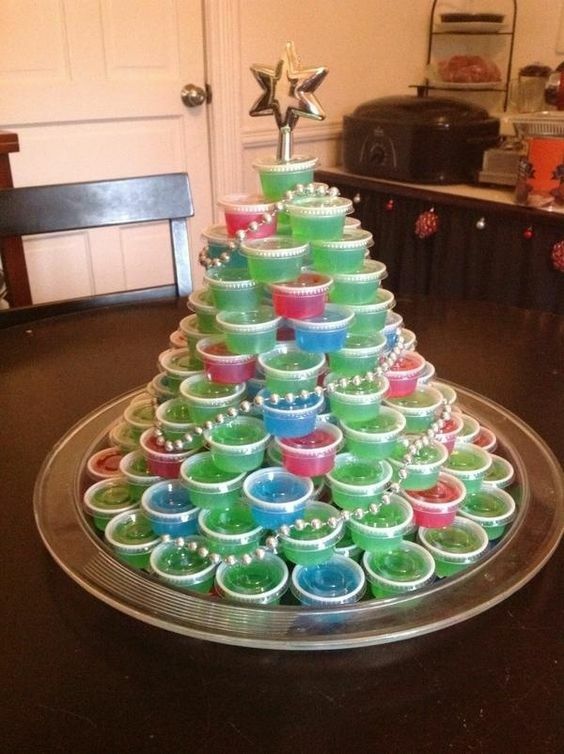 Nothing says PARTY like this Jello Shot Christmas Tree! 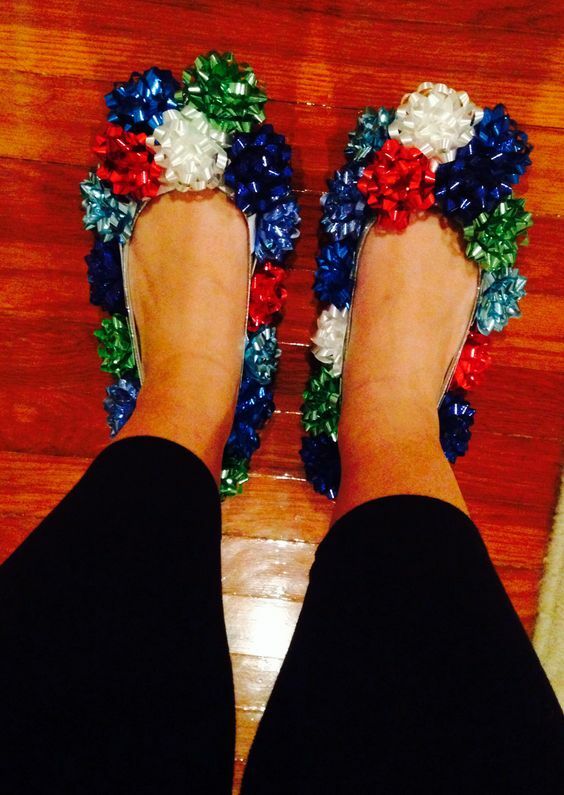 Make these DIY Ugly Christmas Bow Shoes and you will be ready from head to toes! 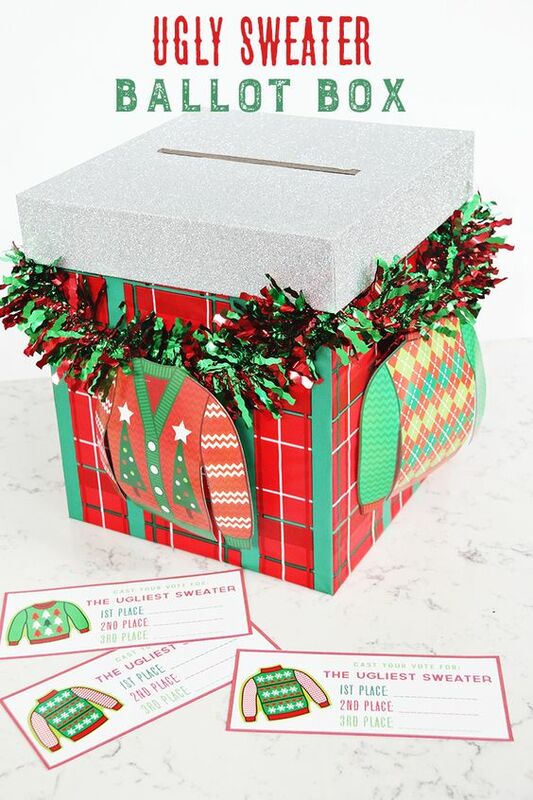 You will definitely need an Ugly Sweater Ballot Box for your voting and prizes! 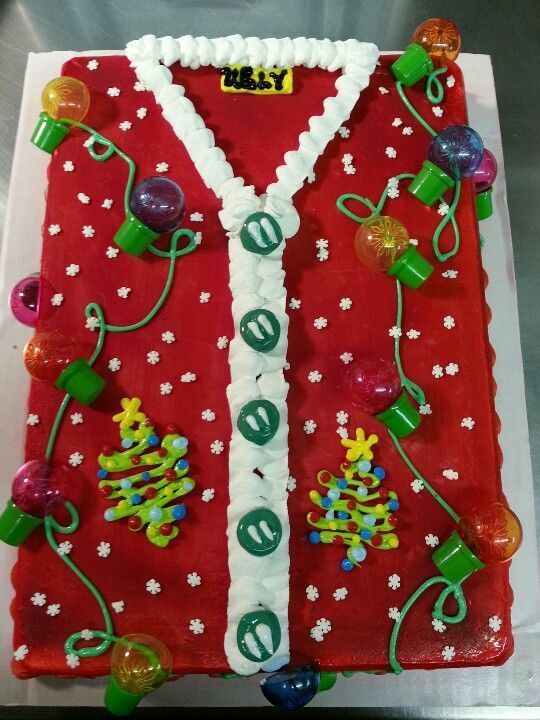 Your ugly Christmas sweater party definitely needs this Ugly Christmas Sweater Cake on the dessert menu! 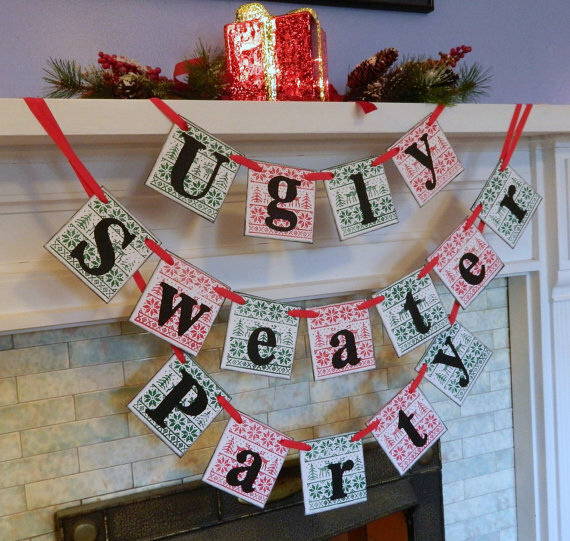 Add to your holiday party decor with this Ugly Sweater Party Banner. 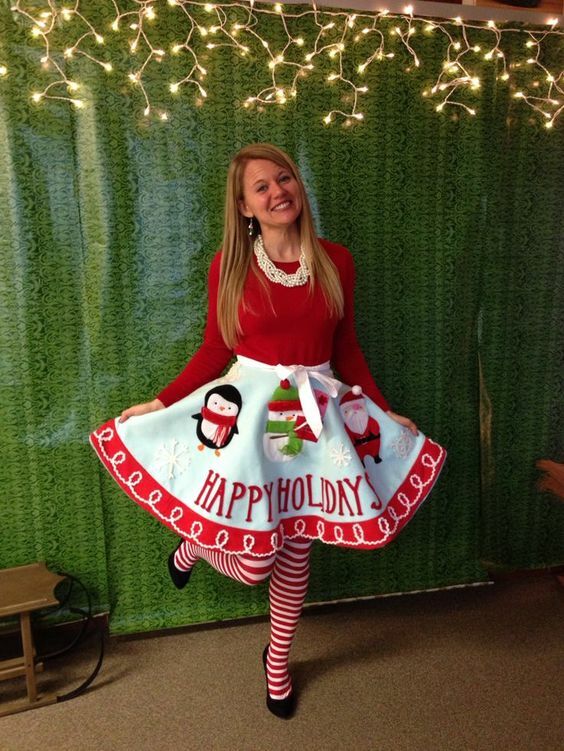 Make a tree skirt into your skirt for an ugly sweater party! So creative! Wouldn’t this just make the most perfect photo booth backdrop?! 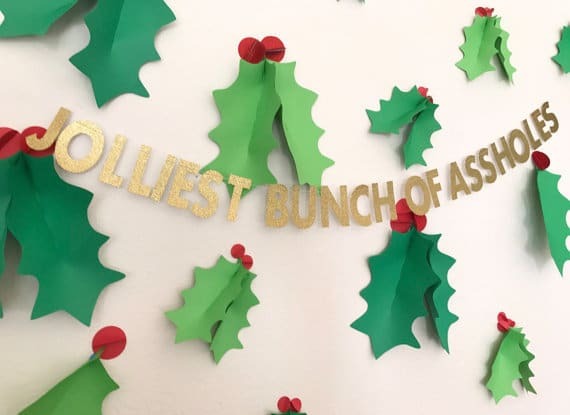 Grab the Jolly Banner and recreate this for your ugly sweater party! 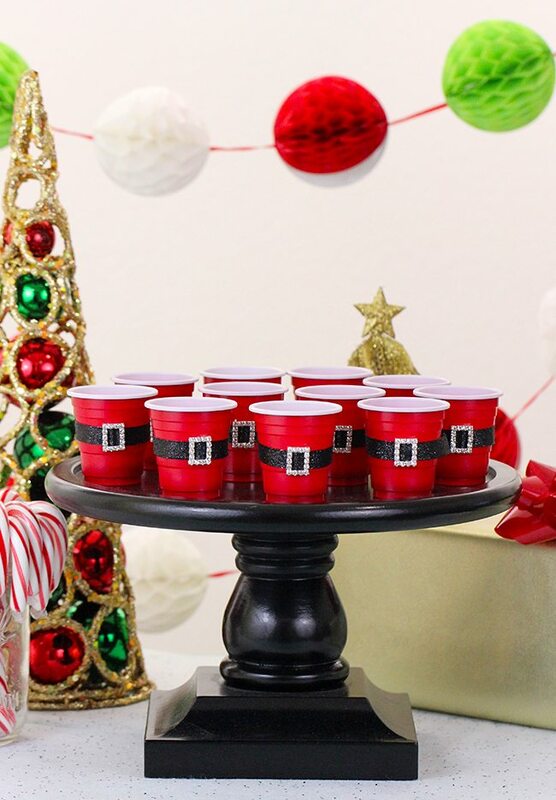 I know I’m not the only one who LOVES these DIY Mini Santa Belt Cups! How perfect are these for holiday parties?! The Ugliest should be awarded! 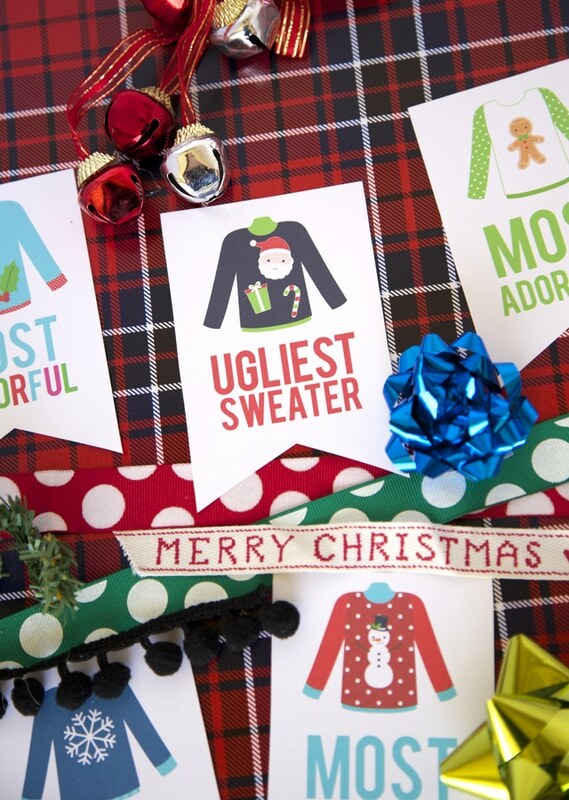 Grab these Free Printable Ugly Sweater Awards to pass out to your favorites! You can also grab these Free Ugly Sweater Party Invitations and Medals! 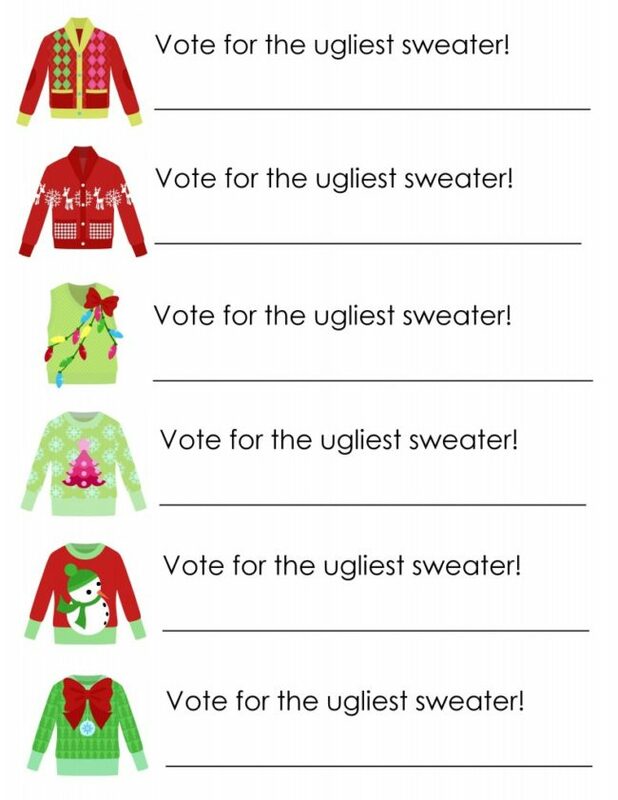 This Free Ugly Sweater Voting Ballot is perfect for everyone’s vote! WOW! Now this DIY Christmas Bow Dress will definitely be a head turner! 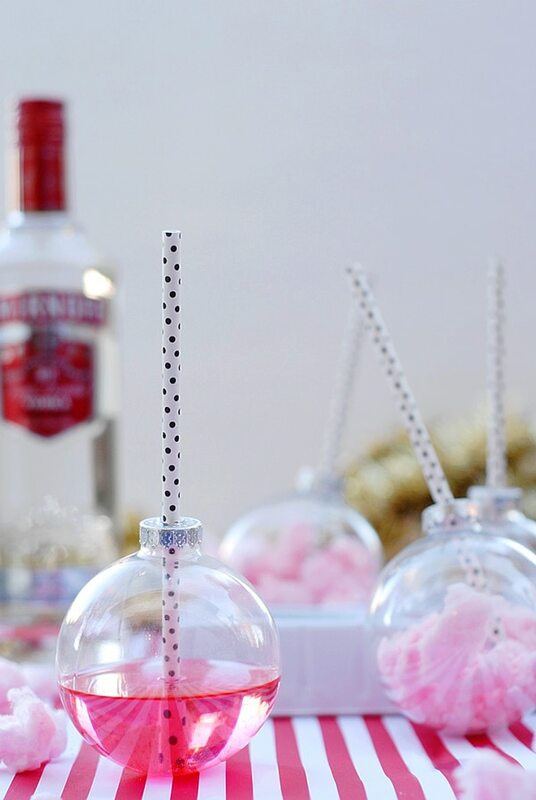 Serve these Cotton Candy Holiday Ornament Shots at your party. Guests will love them! 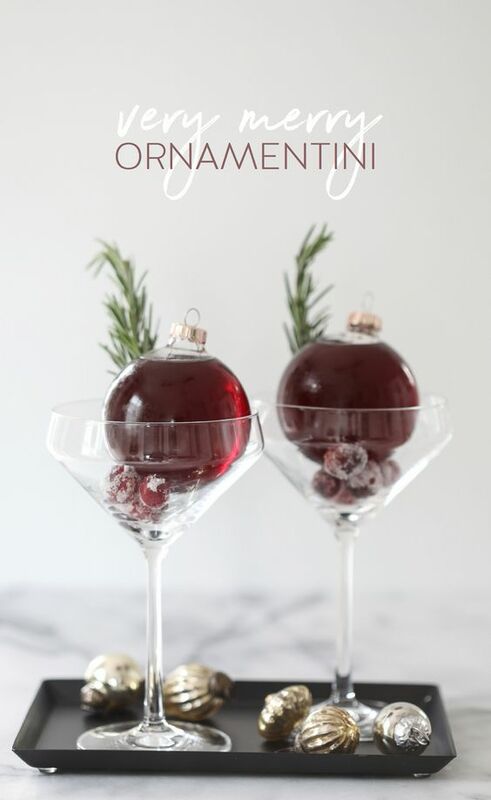 Or perhaps you can serve this Very Merry Ornamentini! Cheers! 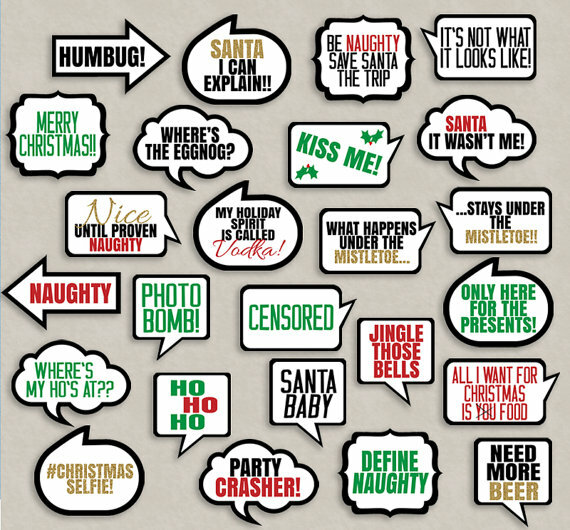 How much fun would it be to add these Adult Christmas Phrases Printable Photo Booth Props?! Totally appropriate for this type of party! Which of these 16 Totally Unforgettable Ugly Sweater Party Ideas are your favorite? Tell us in the comments below!